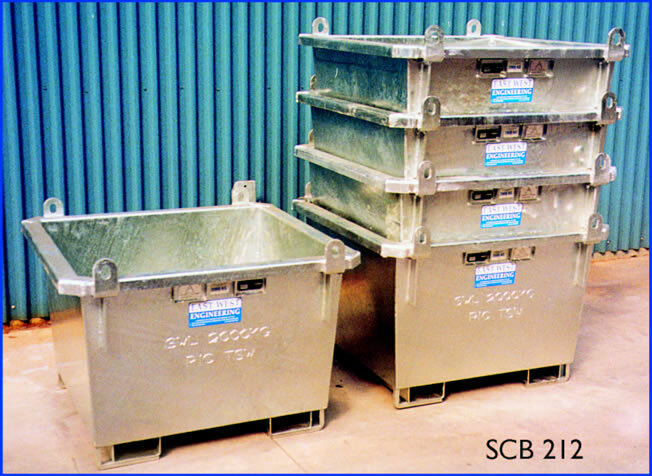 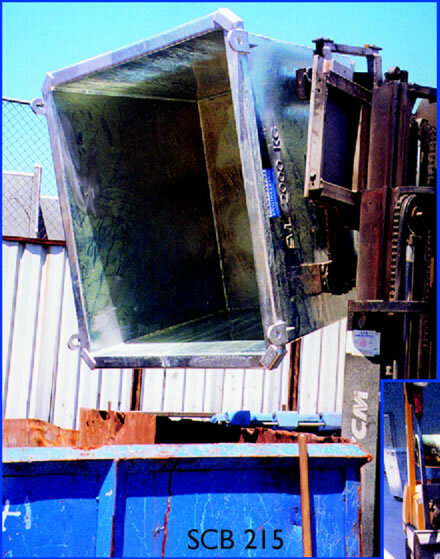 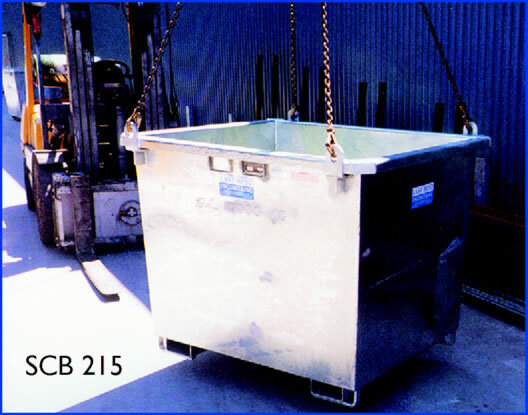 The SCB Bins are heavy duty bins suitable for all waste products. 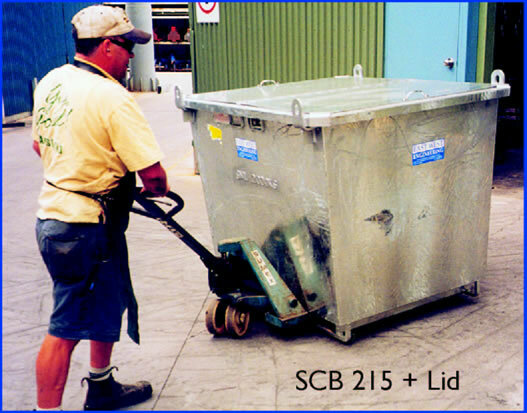 The space saving shape allows bins to nest inside each other for transport and storage. 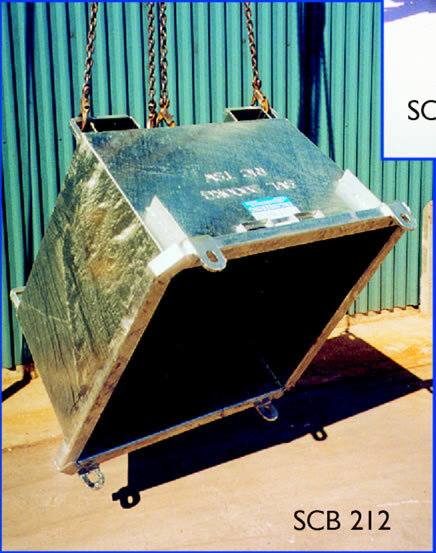 Available in 1 tonne capacity made from 3mm plate or 2 tonne capacity made from 5mm plate. 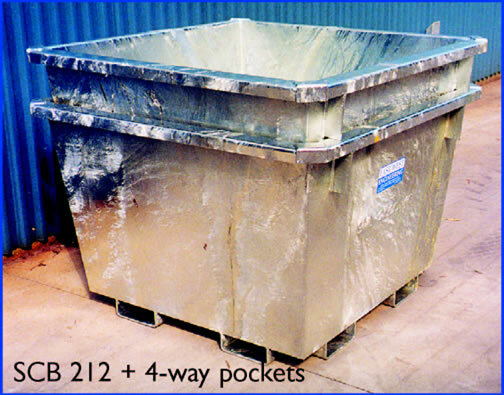 Bins are fitted with 2-way entry fork pockets allowing for emptying with Forklifts fitted with rotators, as well as being fitted with crane lugs and upending lugs for emptying by Crane. 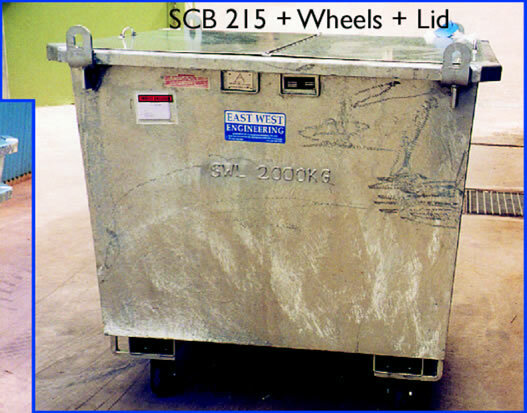 Available in either enamel painted or zinc finish.